All deliveries and services are governed exclusively by these General Terms and Conditions. These conditions apply to all business relationships with entrepreneurs (Section 14 of the German Civil Code (§ 14 BGB)), legal entities under public law or special funds under public law (hereinafter referred to as customers). Deviating or supplementary terms and conditions of the customer shall only become part of the agreement if and insofar as we have expressly agreed to their validity. Our offers are non-binding. An agreement is only concluded between the customer and us when we have confirmed the offer of the customer in writing. Our written order confirmation is decisive for the scope of delivery. Ancillary agreements and amendments also require our written confirmation. Documents pertaining to the offer (e.g. illustrations, drawings, technical details) are only approximately relevant, provided they are not expressly designated as binding. Prices are quoted in EUR ex works Seitingen-Oberflacht (EXW, Incoterms 2010), plus statutory value added tax to the respective amount plus packaging and transport costs. Insofar as the agreed prices are based on our list prices and the delivery should only take place more than four months after conclusion of the agreement, list prices valid on delivery apply (each less any agreed percentage or fixed discount). We are, at our reasonable discretion, free to demand a letter of credit or security of a corresponding value prior to deliveries. This applies in particular in cases where credit agencies rate customer payments as insecure. Invoices are due and payable net within 30 days of delivery and invoicing. We grant a 2% discount in the event of payment within 10 days of the invoice date. Repair invoices are payable without deduction. All payments are to be made free of charge for us. Payments through bills of exchange require a written agreement in all cases. Bills of exchange and cheques shall only be accepted on account of performance and subject to redemption. The customer shall bear all costs. In the case of exchange payments, the day on which payment is credited to our account shall be considered the date of receipt of payment. In the case of deliveries which, following conclusion of the agreement, are realised later than the agreed delivery date at the request of the customer, payment shall be made as if the delivery was realised on the due date. The customer is automatically in default without the need for a reminder on expiry of 30 days after invoicing. If the customer is in default with one invoice, all invoices for services previously rendered by us shall be due immediately. We are entitled to demand advance payment or security for future services in this case. Otherwise, Section 321 of the German Civil Code (§ 321 BGB) remains unaffected. Offsetting against counterclaims of the customer or withholding of payments due to such claims is only permitted if the counterclaims are undisputed or legally binding, or where they are in a relationship of mutuality to our claim. We reserve the right to modify our goods, details relating to these and their depiction in the interest of technical and medical advances. However, modifications of this nature should not prejudice the interests of the customer to an unreasonable degree. We also reserve the right to undertake modifications due to indirectly or directly applicable national or international laws. Delivery dates are only binding if expressly agreed in writing. In the case of shipping or notification of readiness for shipment, the delivery date is deemed to be met. The delivery deadline shall commence with the sending of our order confirmation, but not prior to the furnishing of all samples, documents, authorisations and approvals to be procured by the customer and observance of other customer obligations emanating from the agreement. The consequences of cases of force majeure (i.e. events which are unforeseeable at the time of conclusion of the agreement and for which we bear no responsibility) shall extend our delivery deadlines accordingly. Cases of force majeure of this nature also include shortages of materials and energy, inadequate self-delivery, operational disruptions, strikes, lockouts and similar, including where such are suffered by our sub-contractors or suppliers. We are entitled to withdraw from the agreement if these events make delivery or performance considerably more difficult or impossible for us and the impediment is not merely of a temporary duration. he customer is entitled to withdraw from the agreement where a delivery is delayed for longer than 3 months as a result of force majeure. Claims for compensation for this reason are excluded. Where the customer refuses acceptance or does not accept the delivery following expiry of an additional period of grace, or where the customer culpably breaches other obligations to cooperate, we are entitled to withdraw from the agreement without prejudicing the assertion of further rights and / or to demand flat-rate compensation of 0.2% of the invoice amount for the delivery concerned for each completed workday of the delay, but only to a maximum of 5% of the invoice amount concerned. Both parties reserve the right to produce evidence of higher or lower damages. Where we are responsible for not honouring a delivery deadline, the customer may only withdraw from the agreement following expiry of an appropriate additional period of grace stipulated by us in writing. Insofar as we are in default of a delivery or performance or a delivery or performance is impossible, regardless of the reason, our liability for compensation is limited in accordance with Section 9 of these General Terms and Conditions. We are only entitled to make partial deliveries if the partial delivery is reasonable for the customer, where it can in particular be used within the scope of the contractual purpose, where delivery of the remaining ordered goods is assured and if the customer incurs no significant additional expenses or additional costs as a result. Excess and short deliveries of the agreed quantity which are usual in trade are permitted. We shall only accept return deliveries of our items following a prior declaration of consent. We reserve the right to reduce credits for returned items due to price reductions, reduced marketability and re-storage costs. The reduction shall amount to a flat rate of 25% of our invoice amount in the absence of proof. The risk of deterioration or loss passes to the customer if the goods have been readied for shipment or collected from us. Where the goods remain on our premises due to reasons for which the customer is responsible, risk shall be transferred on notification of readiness for shipment. Ownership of the delivered goods is only transferred to the customer when all our claims from the entire business relationship with the customer are settled, regardless of the legal grounds. Until then, we reserve ownership of all delivered items. In the case of a current account, the retention of title secures the balance (current account reservation). Where reserved goods are moved outside the German legal jurisdiction, the customer is obliged to provide us with a legal position which is economically and legally as close as possible to that of an owner of goods subject to a reservation of title. The customer must obtain appropriate information and pass it on to us, make further necessary declarations and perform all other legal acts. The customer is obliged to store the reserved goods (i.e. the goods subject to reservation of ownership) with care at its own expense, to maintain them and insure them adequately against fire, water damage, burglary and theft. The insurance policy must be submitted for inspection at our request. The customer shall assign all claims against insurances due to damage of reserved goods to us with immediate effect. We accept the assignment. If the customer has not insured the goods adequately, we are entitled but not obliged to insure the goods at the expense of the customer. The customer is entitled to sell the goods in the ordinary course of business, as long as it is not in default of payment. The customer shall assign purchase price claims arising in its favour to us in full with immediate effect. We accept the assignment. The customer is entitled to collect the claims in its own name. This collection authorisation expires in the case of revocation by us. If the customer behaves in breach of agreement (e.g. in the case of default of payment), we may require the customer to disclose the names of its customers and to inform them of the assignment of the purchase price. The customer shall provide us with all the information we need to assert the claims ourselves. If the value of the reserved goods, including other securities in our favour, exceeds the claims against the customer by more than 10%, we shall be obliged to release them in respect of the excess value. The selection of securities to be released shall be at our discretion. If rights emanating from reserved goods are asserted by third parties, the customer must disclose the ownership of securities and inform us immediately. The customer is obliged to maintain records of its customers and the location of products for each medical device, to impose the same obligations on its customers and to ensure that customers can be contacted as quickly as possible in the event of a product recall or other corrective action. The customer agrees to our products being delivered without user instructions. The customer accepts that user instructions for our products are only available on the internet. The customer pledges to download the user instructions in a reproducible form after receipt of our order confirmation from the service section of our website (https://www.zepf-medical-instruments.de) and not to forward them to third parties without our express consent. The customer is entitled to resell our products, provided it delivers these products to its customers with an adequate number of user instructions in paper form. In the event of infringement of this clause, the customer is obliged to indemnify us against any claims and damages of third parties, unless the customer is not responsible for the infringement. Unless otherwise regulated herein and in Section 9, the guarantee is governed by statutory provisions. No deficiencies shall be recognised in cases of natural wear, incorrect handling following transfer of risk, incorrect storage, failure to observe user instructions and similar. 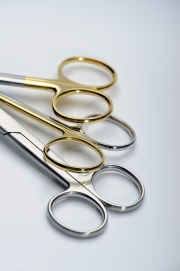 With regard to due diligence during the storage, care, cleaning and sterilisation of our goods, the principles established by the Instrument Preparation Working Group (Arbeitskreis Instrumentenaufbereitung – AKI) shall be considered as agreed. Insofar as no other agreements exist, our goods are in each case only suitable for use in the areas of application specified by us. We therefore assume no liability for the suitability of our goods for purposes deviating from the intended use. Where a complaint regarding defects is justified and submitted on time, we have the right to rectify the defective goods or delivery replacement goods free of defects at our discretion. The customer shall grant us an appropriate period for the rectifying of defects. In the event of a failure to repair or replace, the customer has the right to reduce the purchase price or to withdraw from the agreement. However, a right of withdrawal does not exist in the case of a negligible defect. In addition, the customer may claim damages in accordance with Section 9 (compensation and limitation of liability). Further claims for defects are excluded. Should the customer modify the goods without our permission, or have the goods modified by a third party, the customer shall bear the additional costs for rectifying defects. However, our guarantee is rendered null and void if the customer modifies the goods or has the goods modified by a third party without our permission and, due to this, the rectifying of defects is rendered impossible or unreasonable. We are entitled to predicate the supplementary performance due on whether the customer pays the due purchase price. However, the customer is entitled to retain a portion of the purchase price proportionate to the defect. The warranty period is 12 months from delivery, with the exception of a case of fraud and subject to clause 9 (compensation and limitation of liability). Defects shall be reported in writing immediately after detection, as the delivery shall otherwise be considered as approved. Deficient goods shall be placed at our disposal and become our property. We bear no liability for simply negligent breaches of non-essential contractual obligations. Essential contractual obligations are those whose fulfilment gives the agreement its character and make its proper implementation possible in the first place. Insofar as our behaviour has not been intentional, we shall only be liable for typically occurring foreseeable damage. Liability under the German Product Liability Act (Produkthaftungsgesetz) remains unaffected. This also applies to liability for culpable injury to life, limb or health. On assuming a guarantee, we are liable in accordance with statutory provisions. The above compensation claims expire within the statutory periods. We reserve the right to copyrights to catalogues, drawings and other documents. These documents may not be rendered accessible to third parties, copied or otherwise utilised without our express written approval. On requesting an offer, the customer declares its consent to the electronic storage of data insofar as this is necessary and insofar as it is for the purpose required by us for processing of the agreement with the customer. The place of fulfilment for all obligations arising from agreements pursuant to these provisions is Tuttlingen. German law shall apply, insofar as nothing else has been expressly agreed in writing. The UN Convention on Contracts for the International Sale of Goods (CISG) does not apply. The place of jurisdiction is Tuttlingen. Furthermore, we are entitled to assert our claims at the general place of jurisdiction of the customer. In addition, we have the option of having all disputes arising from the business relationship with the customer finally settled pursuant to the rules of arbitration of the International Chamber of Commerce (ICC) by one or more arbitrators appointed in accordance with these rules. 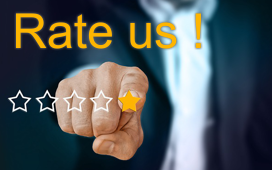 At the request of the customer, we are obliged to exercise this right to choose with regard to a specific legal dispute within a period of one week from receipt of the request through a declaration to the customer if the customer wishes to take legal action against us.